This short looking par 4 is a tight driving hole with a ditch on the left and trees on the right. 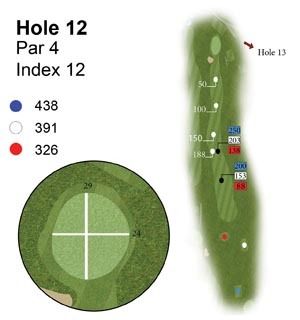 A 200 yard tee shot will make the widest part of the fairway but after that it gets very narrow. A long straight drive will leave you a short pitch to this green. The green has a gentle slope from back to front. This long par 3 measuring over 200 yards need a straight tee shot. A ball landing short has a great chance of running onto the green. It is a very receptive green so those who wish to carry the ball to the green will be rewarded. Two greenside bunkers on the left protect the green with a slope off the right. This green is relatively flat with some little slopes and tends to be very fast. The 12th hole has a slight dogleg to the right, a good tee shot will be just right of centre where the fairway slopes from right to left. Any ball landing left of centre will kick down to the mound or into the trees. A ball pushed to the right will leave a blind second shot.This green is the most difficult on the course,with a severe slope from right to left leaves any putt above the hole almost impossible. An uphill putt is a must to save par. 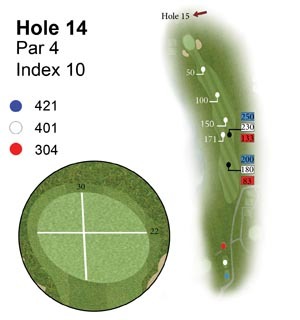 The par 4 13th hole is a severe dogleg from right to left. A sensible tee shot is hit between the tree on the right of the fairway and the corner of the ditch on the left. A 220 yards tee shot will get you beyond the corner, and gives you a view of the green. 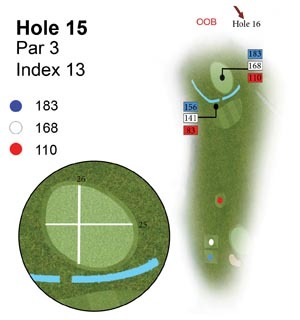 Club selection is vital to reach this green and a missed shot to the right will leave a very difficult third short. The green slopes from left to right with a little ridge going through the middle. The lower side of the green tends to be faster as it slopes away to a hollow. 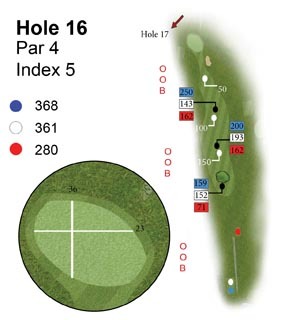 A downhill par 4played from a elevated tee.Taking a driver means you must aim left of centre but don’t over do it. A large grove of trees await you on the left and out of bounds. The 14th green is quite flat to walk onto but has some little slopes on it. The signature hole of Kinsale Golf Club this par 3 has it all; from the tee you see a small green with out of bounds over the back. There is a stream running across the front with some beautiful planting surrounding the green. 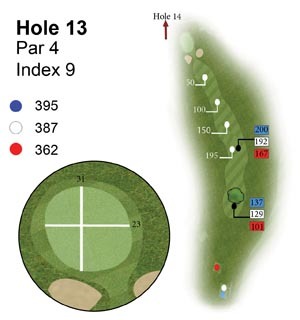 It is a very receptive green with a slope from right to left when choosing your club make sure you check the wind as you are sheltered on the tee box. This daunting par 4 has out of bounds on the left. A large tree sits in the middle of the fairway with a ditch on the right side. Forget about the trouble in view as you have a very large area to aim at. 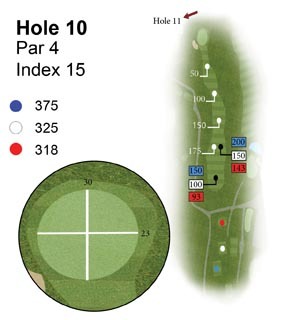 From 150 yard you have an elevated green, which plays a club longer that it looks especially when you have a blue flag. Most of the trouble is short of this green with a bunker short right and a steep slope short left.The green slopes from back left to the front right with lots of little undulations. 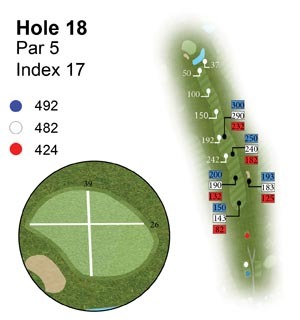 This par 4 index 1 has difficulty everywhere with out of bounds on the left running from the tee box all the way to the green. There is a tree plantation on the right, and four ponds surrounding the green. All this and 400 yards to go. Your drive must be hit right of centre with the fairway sloping from right to left Just left of the right side mound is always a good line, anthing right of the mound means a lay up.From 150 yard you face water left and right with a little bridge your only way across by land! 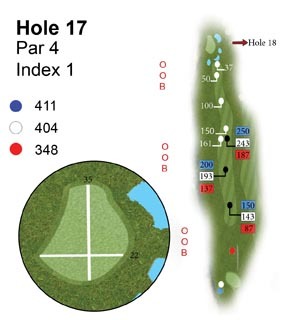 The 17th is a small two tier green. 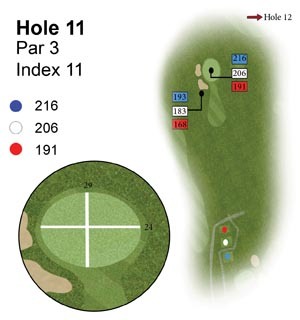 A par 5 that normally plays downwind so the bigger hitters can get home in two shots. A generous fairway that slopes a little left to right, you need to hug the left hand side to give the best approach to this green. A drive up the right side leaves the longest carry to the green which has a lake to the front equal to the width of the green.